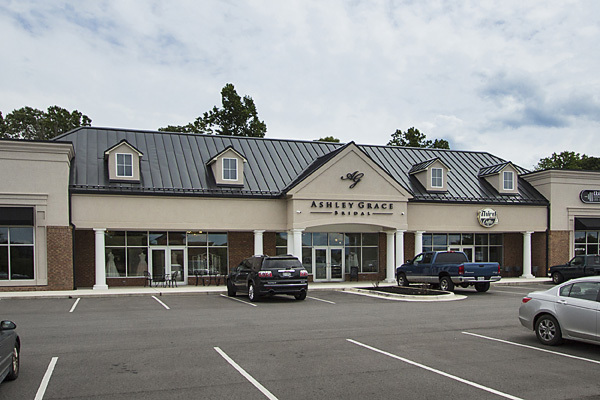 The Shoppes at Jefferson Commons in Forest, Virginia were designed by Architectural Partners and completed in 2016 with eleven shell spaces for potential tenants. 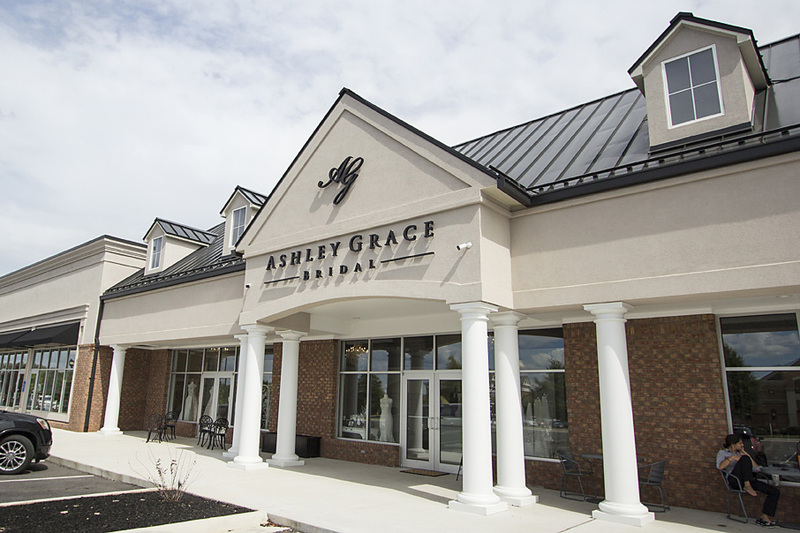 Later that same year, Architectural Partners was asked by our repeat client to provide an upfit design within two of the central shell spaces for an entirely new business venture: Ashley Grace Bridal. 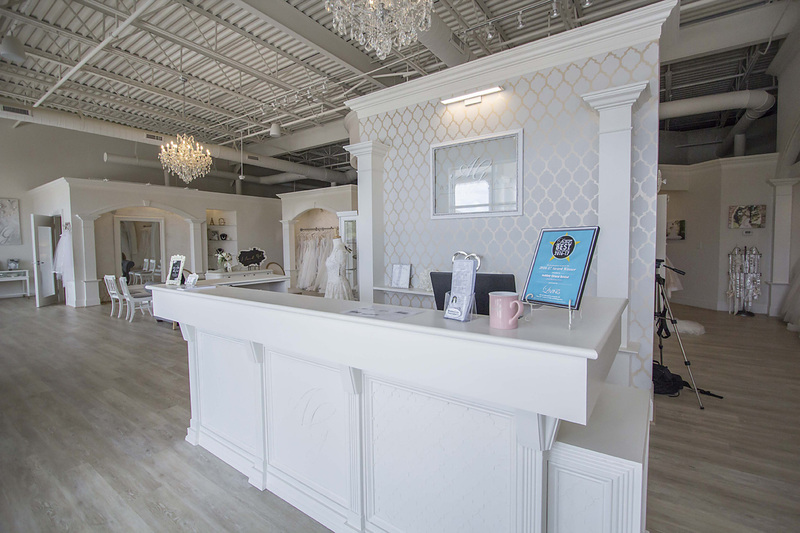 The owner of this bridal salon was “starting from scratch” with her own concepts and vision for both the operation and appearance of this unique retail space. 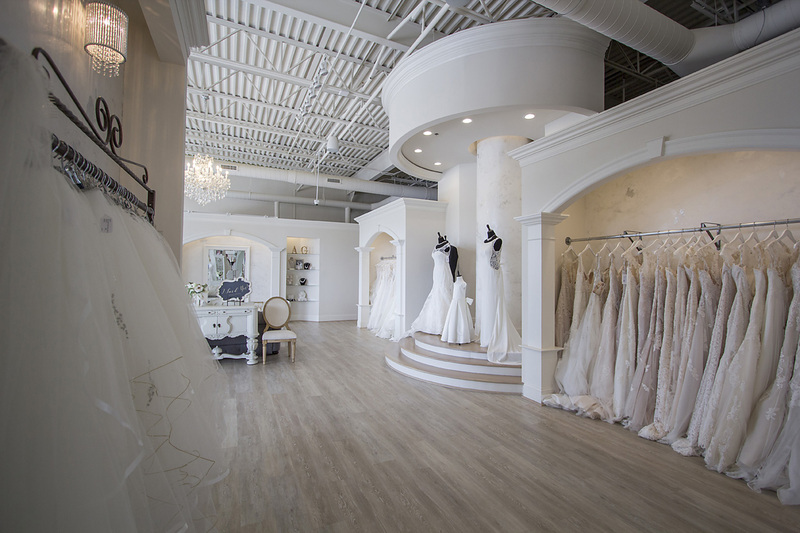 The design centered around her ideas for an exceptional personalized experience that a bride should enjoy when shopping for her wedding dress and accessories. 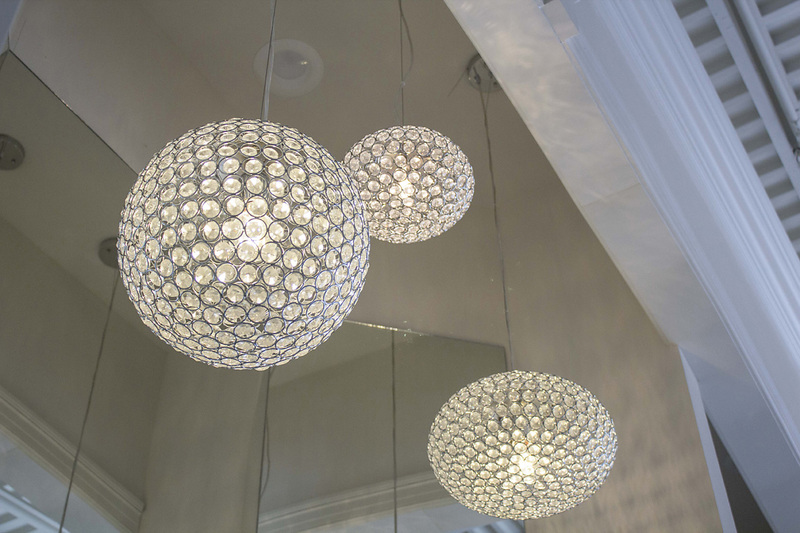 A hostess greets each person entering the store at the reception area. 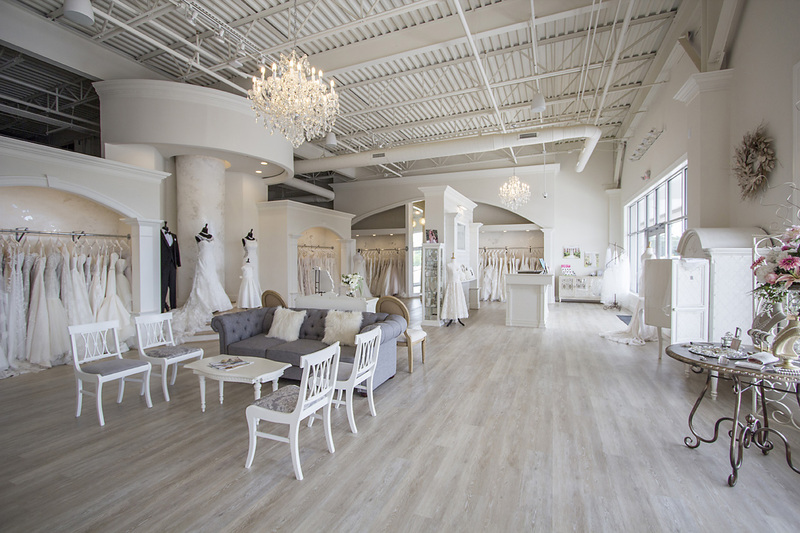 Warmly lit dress and accessory displays surround an open area in the front part of the store where events an seminars may occur. 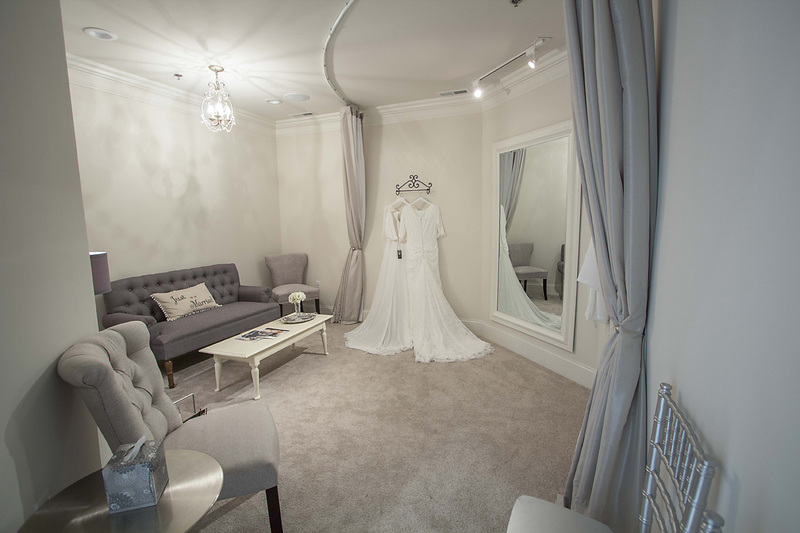 Five “Dress Rooms” provide roomy and private individual parlors for the bride-to-be and her guests to review dresses and enjoy the occasion together. 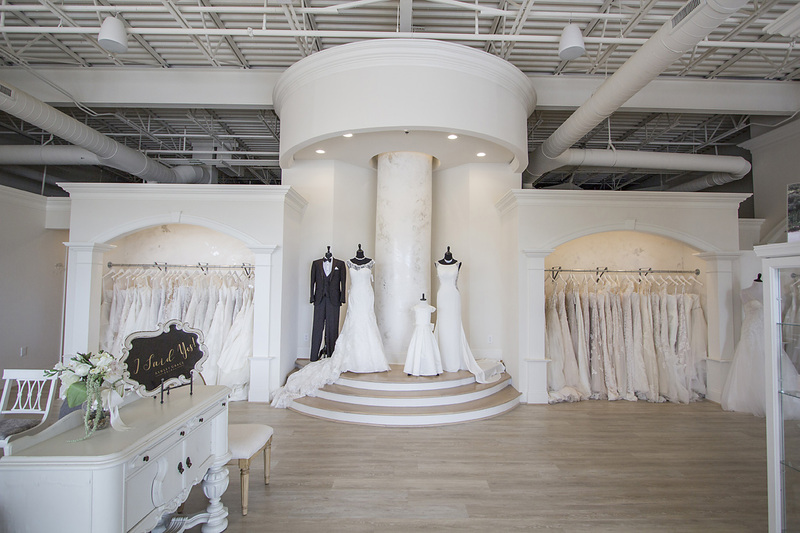 Throughout are arches, niches, rich finishes, mirrors and lighting to put the dresses and the brides on display. 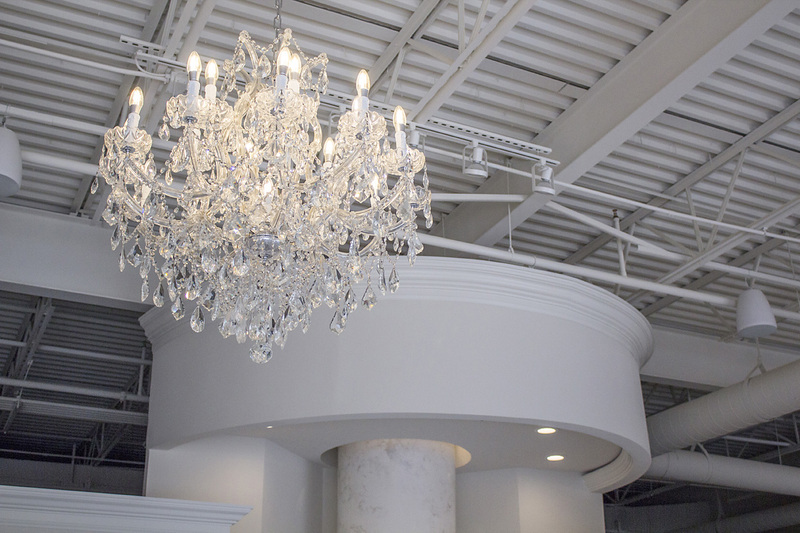 Architectural Partners worked with the owner to turn her hopes into reality, fashioning custom wall and trim moldings, working out details for lighting and displays, and turning a typical retail space into a stunningly beautiful setting befitting the attention to detail that goes into bridal dress design.